Thank you to 47North and the amazing folks at Wunderkind PR for Smoke & Summons by Charlie N. Holmberg, a novel of magical steampunk, romance, and adventure. 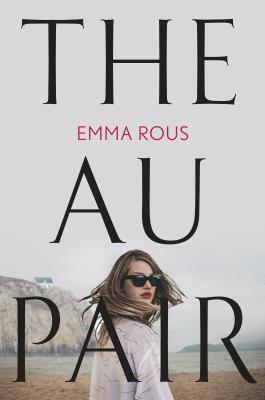 Right now I’m tentatively scheduling this one for a February read, and I hope it works out because the book sounds neat. My thanks also to Crown Publishishing for this surprise ARC of Recursion by Blake Crouch. I loved Crouch’s Dark Matter so much, that any new book of his goes immediately on my to-read list! I hope this one will be just as fun and addictive. 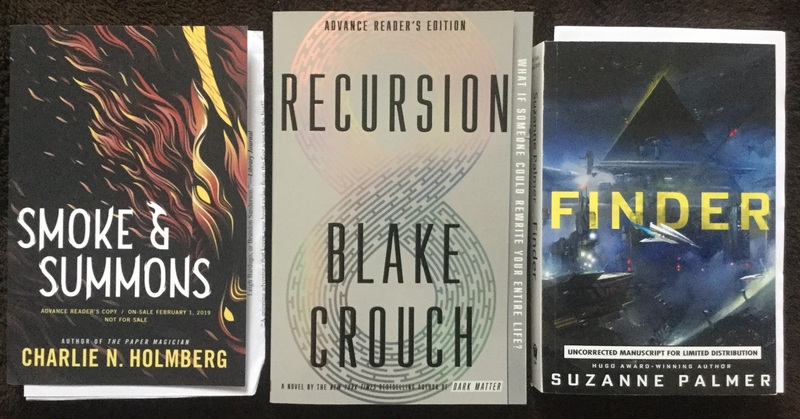 A big thanks also goes to DAW Books as they have been spoiling me silly by surprising me with a bunch of awesome looking ARCs over the last few weeks. I didn’t know too much about Finder by Suzanne Palmer, but some research told me it is a sci-fi caper starring a protagonist who is a thief, con artist and repo man. Well, you have my attention. Next up, Fire Season by Stephen Blackmoore is the fourth volume of the urban fantasy series starring the necromancer Eric Carter. I haven’t gotten around to trying this series yet, but it’s on the TBR. Looks like I’ll have some catching up to do. 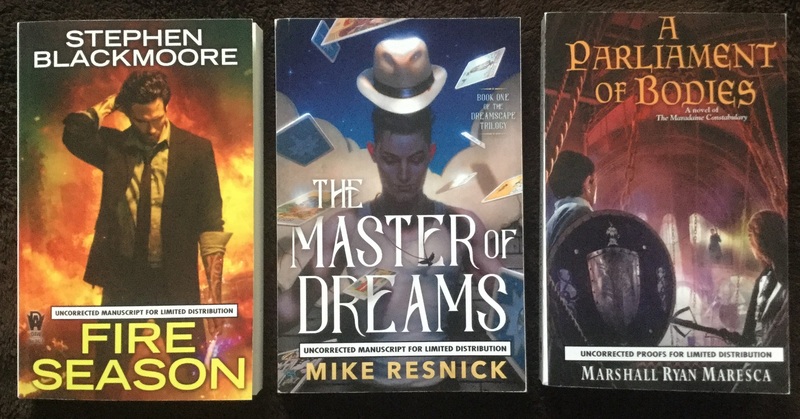 The Master of Dreams by Mike Resnick is the start of a new fantasy trilogy offering an adventure through space and time. Despite Resnick being quite a big name in SFF, I think I’ve only read like one book by him. This looks a little different from his usual stuff though, and I’m curious to check it out. And finally, A Parliament of Bodies by Marshall Ryan Maresca is the third book of the Maradaine Constabulary series. To be honest, the author has so many series set in this world that I can’t really be sure if this is one I’m caught up with. I think I am, so I’ll probably read this at some point closer to its late March release. My thanks again to DAW Books. Courtesy of the awesome team at William Morrow, I received a finished copy of The Night Agent by Matthew Quirk. 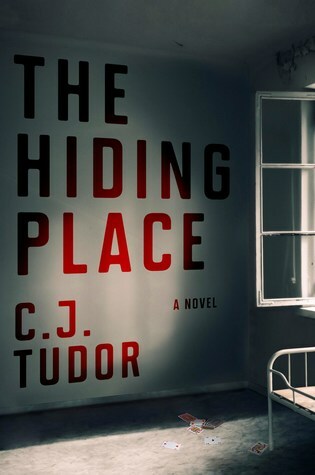 This one’s a new discovery for me, though I’m aware it’s a thriller and its description looks promising in that it sounds like something that I would have trouble putting down and keep me reading into the night. I’ll probably find myself in the mood to read this at some point. And thank you to Tor Books for this arrival that I should have featured a while ago, because it actually came before the holidays but it somehow fell through the cracks (quite literally). 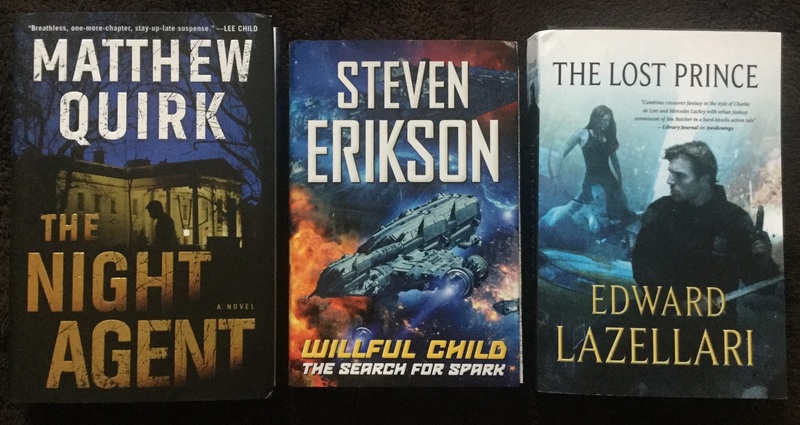 Willful Child: The Search for Spark by Steven Erikson is the third novel in his highly humorous and tremendously silly Star Trek spoof series. It is completely off the wall, but I’ve been enjoying it. I’ll be sure to be reading this when I need some laughs. Last but not least, I’d like to give a special shout out to author Edward Lazellari for sending me a copy of his book The Lost Prince, volume two of The Guardians of Aandor trilogy. Tor had sent me a review copy of the third book, but I wasn’t caught up with the series yet, and when Ed found out, he offered to remedy that immediately. 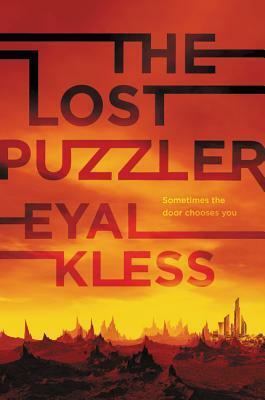 I’m currently reading this one now, so a review shouldn’t be long in coming! And a, uh, bit of an explosion happened in my digital haul this week, on account of a bunch of audio review copies becoming available all at once. 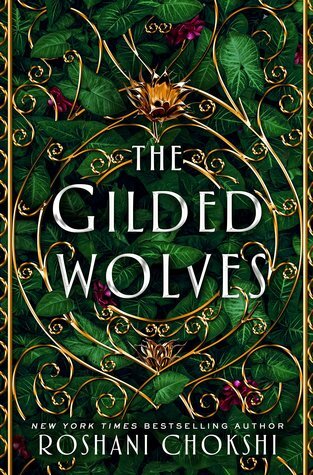 Courtesy of Macmillan Audio, I received The Gilded Wolves by Roshani Chokshi, which I just finished listening to, and, well, I guess there’s some truth to the early reports calling it a watered-down Six of Crows. But if you like heist stories, it’s all good. 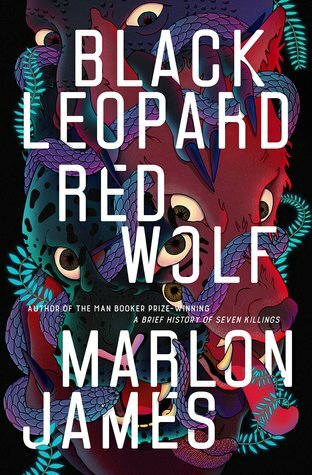 From Penguin Audio, I grabbed Black Leopard, Red Wolf by Marlon James, the first book of a new trilogy steeped in fantasy, mythology and history about a mercenary hired to find a missing child. 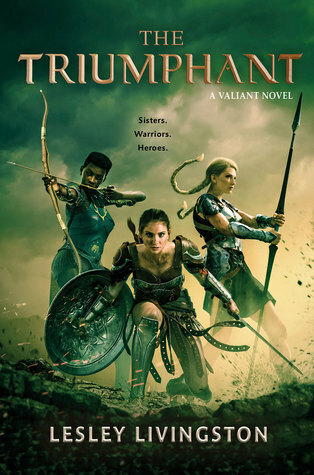 From their YA imprint, Listening Library, I was thrilled when I saw they’d put up an advance listening copy of The Triumphant by Lesley Livingston, the final book in her Valiant series about female gladiators – which was downloaded straight away, of course. 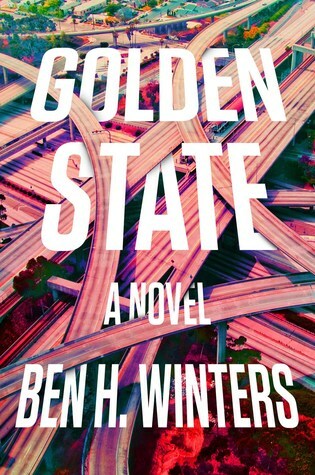 From Hachette Audio, I also picked up Golden State by Ben H. Winters. 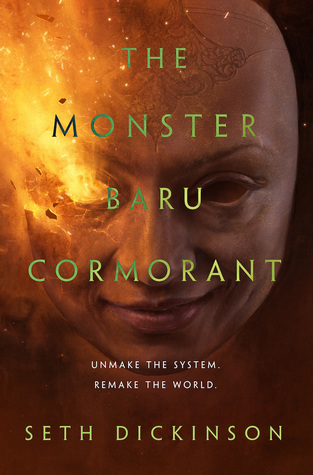 Anything he writes goes straight onto my to-read list, and this police drama set in a dystopian state has a unique and special twist that I think I’ll enjoy. 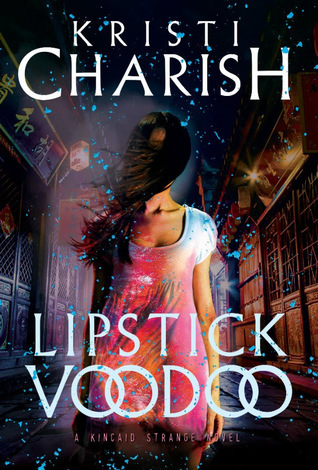 And from Audible Studios, I couldn’t resist requesting Lipstick Voodoo by Kristi Charish when I found out there was an audio version. I’ve finished this one already, so a review should be up in a day or two. 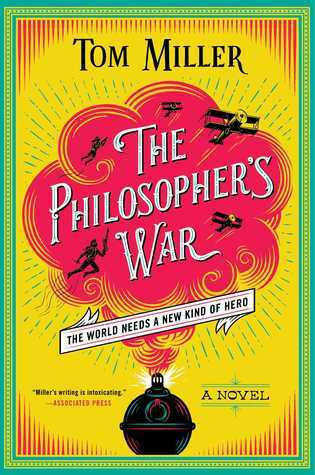 On to the NetGalley pile, The Philosopher’s War by Tom Miller was a “Read Now” that I grabbed as soon as I saw it was available from Simon & Schuster. I’ve made it no secret how much I loved the first book, and I was ecstatic at the prospect of continuing the series. 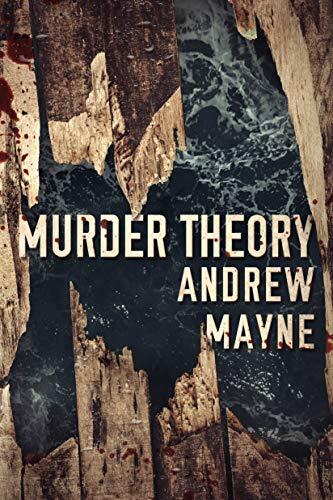 Murder Theory by Andrew Mayne is another highly anticipated sequel and was also an instant download with thanks to Thomas & Mercer. I don’t think I’ve ever smashed that request button as fast or as hard as I did when I learned that the eARC had gone out into the world. And already, that auto-approval from Random House Children’s is proving to be a double-edged sword, but I somehow managed to limit myself to one book that was actually on my anticipated YA list. Blood Heir by Amélie Wen Zhao is described as a dark Anastasia retelling, about a fugitive princess with the power to control blood. 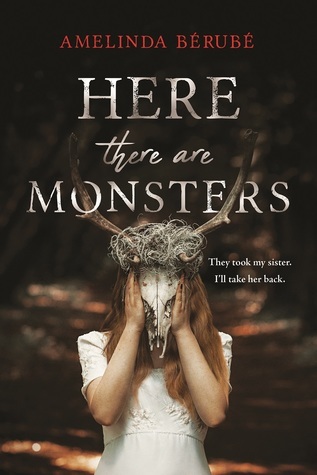 And finally, with thanks to Sourcebooks Fire, my request for Here There Are Monsters by Amelinda Bérubé was approved earlier this week. I know expectations are never too high for YA Horror, but I really think there’s a lot of potential with this one. Yeah, I’m not loving the writing style, but the story is good. There are also a few characters that rub me the wrong way, but there are a ton of them, so it’s not a big deal. I like the look of blood heir! Oooh nice! Lots of nice new reads here! Lots of new to me ones too! I picked up the Kincaid Strange series not too long ago when I was sent a copy for review. I went out and bought the first book since I still had a coupon! Lol! Just need to find time to read it now! Which seems to be my biggest problem in life! Lol! Hope you enjoy all of your amazing new reads! If you enjoy urban fantasy, I think you will love Kincaid Strange 😀 I hope you get to check it out soon! I’m so excited for Recursion! 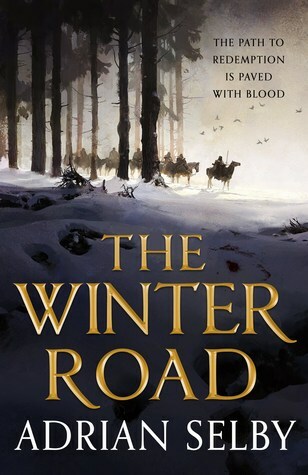 I got a NetGalley copy last week. Now if I can only finish The Gutter Prayer, I feel like I’ve been reading it for a month! Awesome haul! 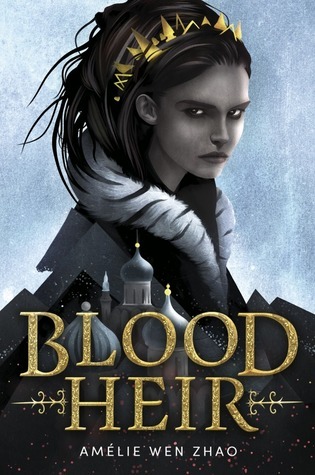 I got Blood Heir from NetGalley; Finder is incredibly tempting but I have so many ARCs already……. Seriously, Blood Heir was hard to resist. And I’m looking forward to finding out more about Finder. I’m excited for Recursion too, it sounds awesome and after reading Dark Matter I feel the same way- almost an auto-buy author at this point. The Triumphant and The Au Pair both look awesome to me as well. I have a good feeling about Recursion, and I can’t wait to read The Triumphant to find out how it all ends! Wait, Steven Erikson has written a Star Trek spoof series? Why didn’t I know about this?!! I think the final cover is going to be a neon yellow, judging by the pics on Goodreads, lol. The ARC however is a cool shiny chrome. 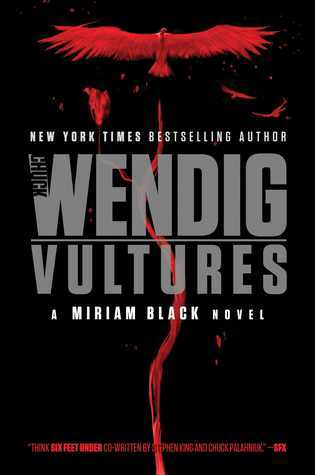 Blood Heir got me intrigued and I just saw your review of Lipstick Voodoo!!! Blood Heir looks incredible, I can’t wait to check it out! I have Smoke and Summons too and the Resnick book looks pretty interesting as well. I was able to get Blood Heir and Here There Be Monsters too but won’t haul them until next week. Today was basically a horror haul for me. Hope you have a great week. Am looking forward to Marlon James’s book, so I’ll be on the lookout for your review when you get to it. I have my fingers crossed hoping it’s as good as his historical fiction novels. Ah cool, I’d never heard of him until Black Leopard, Red Wolf. I look forward to checking out his writing! I really enjoyed Smoke and Summons! It helps that I am a fan of the author. Her writing isn’t without its issues but she writes fun characters that you want to root for. Looking forward to your thoughts on it! A lovely book haul as ever. I have to say that I was so happy when I saw the Andrew Mayne book. So, so happy. Enjoy the latest book haul!